Historical societies, historic preservation commissions, the National Register of Historic Places – it’s easy to get confused. But each plays a different role and means something different to property owners. 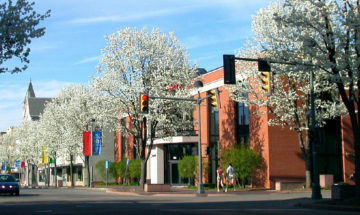 The Central Batesville Historic District is listed in the National Register of Historic Places. Can my town’s historical society prevent me from making repairs to my home? I own property in a downtown historic district — does that mean I can’t make changes to my office building? My city has a historic preservation commission, what exactly does it do? 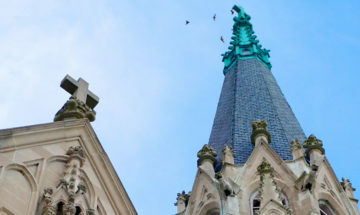 These are questions Indiana Landmarks’ staff hear all the time in our offices around the state. Historical societies, historic preservation commissions, the National Register of Historic Places – it’s easy to get confused. But each plays a different role and means something different to property owners. Many communities have local historical societies. These organizations are usually independent county- or city-specific nonprofit organizations focused on collecting and storing historic documents or artifacts, genealogy research, and history programs such as tours or workshops. Some historical societies do own historic property. For example, the Dearborn County Historical Society uses its Angevine Cabin for pioneer living history programs. 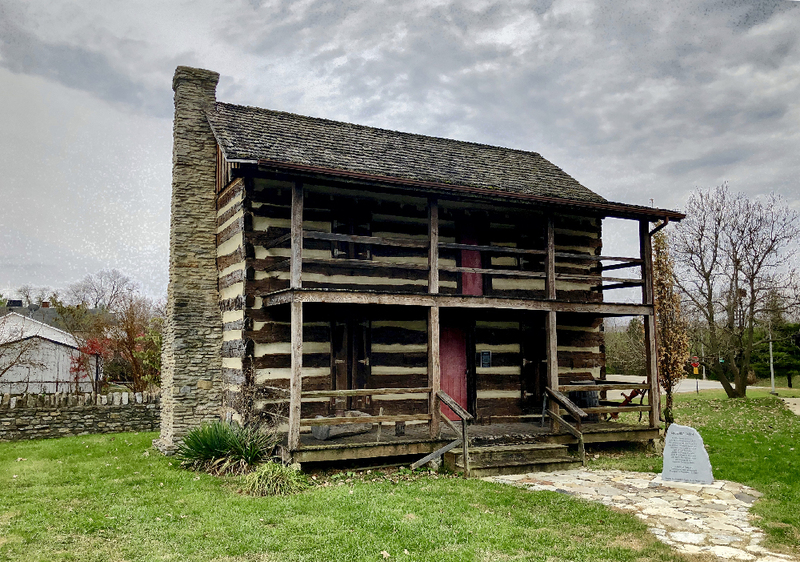 In Hamilton County, the Sheridan Historical Society rescued and restored the Boxley Cabin. Angevine Cabin, owned by the Dearborn County Historical Society. Outside of their own properties, however, historical societies typically have no say in another property owner’s work. In rare instances, a society may hold an easement or covenant on a property – which could place some restrictions on its use or alteration — but barring those unusual situations, historical societies rarely have any power to regulate building changes for private property owners. The federal government created the National Register of Historic Places in 1966 as a way to identify sites, buildings, structures, and objects of cultural and historic importance across the country. 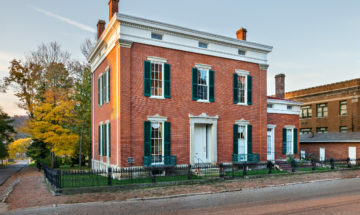 Places included on the list are usually individual buildings, such as Vevay’s Schenck Mansion, or an entire neighborhood or downtown, such as the Central Batesville Historic District. 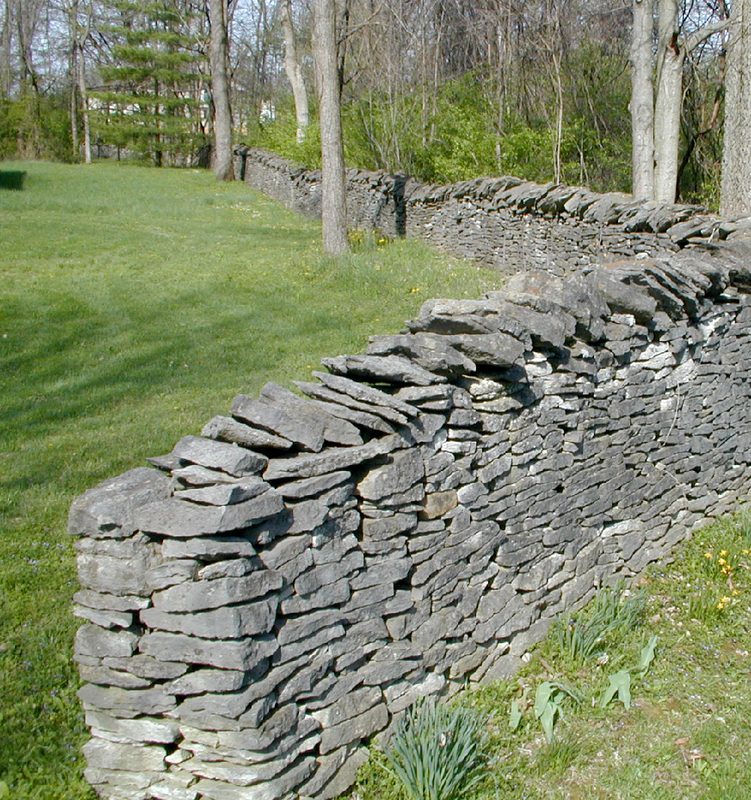 But the National Register can also include bridges, parks, even unusual structures like the stone walls of Monroe County’s Maple Grove Road Rural Historic District. Being listed in the National Register involves submitting an application to the state historic preservation office. Once the state approves the nomination, it passes on to the National Park Service for final approval and listing. Inclusion in the National Register is largely honorific – it does not limit a private owner’s freedom to alter a property, providing no federal or state money is being used. However National Register status may qualify properties for tax credits or rehabilitation grants, and can protect listed sites from the negative impact of federally-funded projects, like road construction. Historic Preservation Commissions, often referred to as HPCs, are units of local government with appointed commission members. These types of commissions are found in areas with locally designated historic districts, such as Aurora. 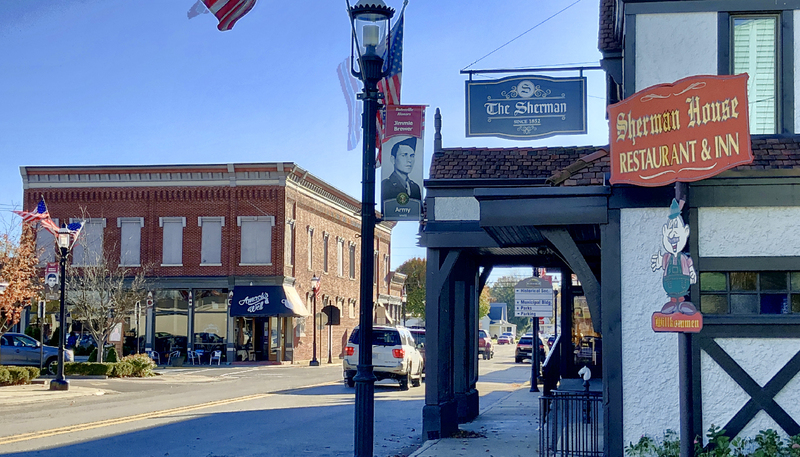 While the term “historic district” is used here again, there is a distinct difference between these and the National Register Historic Districts. Local historic districts are regulated by HPCs, which manage change in the designated district to protect the visual character of individual structures and entire residential and commercial areas. In a district designated by a town’s preservation commission, owners are not required to restore their buildings. However, if an owner chooses to perform exterior work,the preservation commission must first grant approval. Property owners in the district must apply for a Certificate of Appropriateness from the HPC for exterior work performed on their properties. Preservation commissions follow approved design guidelines to determine if proposed work is compatible with the historic character of a property or an area. Typically paint colors and general landscaping do not require approval, but more extensive work such as roof and window replacement, porch alterations, new additions, and demolition will require approval by the commission. 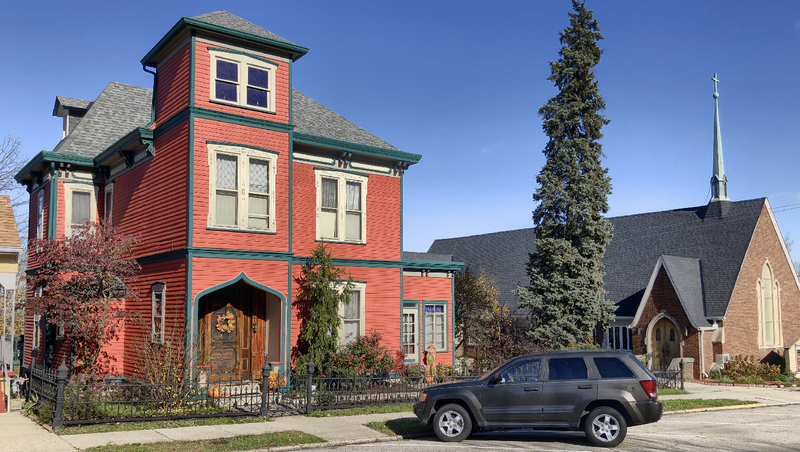 Local historic districts offer a number of benefits, including financial advantages. 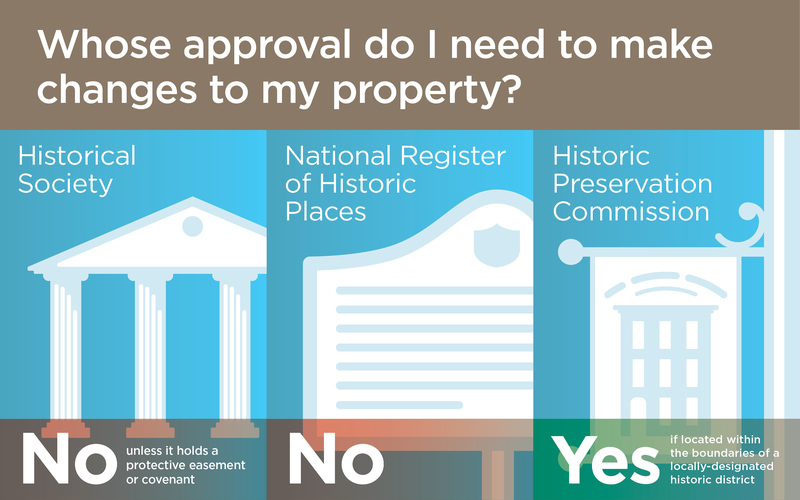 In general, the following guidelines should help you determine who to talk to if you plan to make changes to your historic property. However, if you’re still unsure, feel free to contact Indiana Landmarks’ regional office nearest you. We’ll be happy to help point you in the right direction.